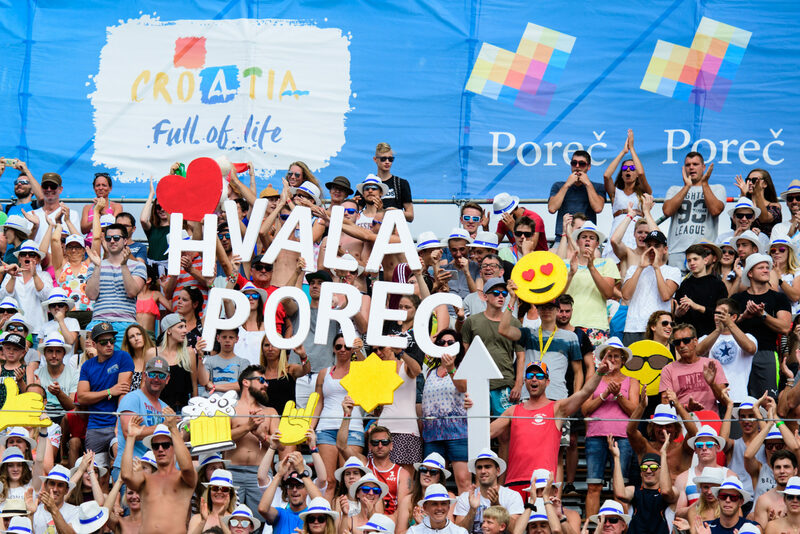 The FIVB has added a stop in Poreč, Croatia to the 2018 Beach Volleyball World Tour, marking the 4th-straight season in which Poreč has had a stop of the world governing body’s top tour. This year’s tournament, however, won’t offer nearly the same rewards as past year’s: in 2018, the city will host a 1-star stop on the tour’s 1-to-5 scale, meaning the smallest prize pools and usually less-accomplished competitors. In the past 3 seasons, Porec has been a “major” tournament, or a 5-star tournament, on the FIVB scale. There’s only two 5-star events this year. The difference in prize money between a 1-star event and a 5-star event is vast: a 1-star event requires minimum prize money of USD5,000 per gender, while 5-star events offer a set prize pool of USD300,000 per gender. Poreč has exceeded that minimum, offering 5,000 Euros per gender, which at present comes out to about USD5,750 per winning team. Last year, winning teams in Poreč received USD40,000 to share; this year, they’ll receive USD1,150. A 600-seat stadium will host the event from July 5th-8th in Zelena Laguna Bay. The tournament will feature a 16-team main draw for men and 16-team main draw for women, plus an additional 16 men’s and 16 women’s teams slots through a qualifying tournament. While the number of 5-star events has dropped, the number of total tournaments on the FIVB World Tour has exploded.